Can you believe he's only 17? 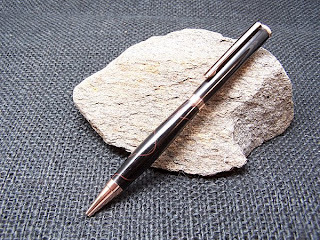 Black acrylic with red traces, copper slim pen kit. Sanded to 2000 then polished with Meguiar's Plast-X.